Saṃsāra is a Sanskrit word that means "wandering" or "world", with the connotation of cyclic, circuitous change. It also refers to the theory of rebirth and "cyclicality of all life, matter, existence", a fundamental assumption of all Indian religions. Saṃsāra is sometimes referred to with terms or phrases such as transmigration, karmic cycle, reincarnation, and "cycle of aimless drifting, wandering or mundane existence". 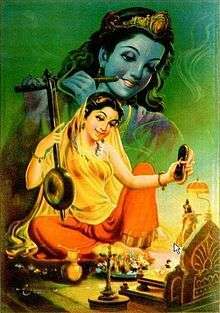 The concept of Saṃsāra has roots in the Vedic literature, but the theory is not discussed there. It appears in developed form, but without mechanistic details, in the early Upanishads. The full exposition of the Saṃsāra doctrine is found in Sramanic religions such as Buddhism and Jainism, as well as the various schools of Hindu philosophy, after about mid 1st millennium BCE. The Saṃsāra doctrine is tied to the Karma theory of Indian religions, and the liberation from Saṃsāra has been at the core of the spiritual quest of Indian traditions, as well as their internal disagreements. The liberation from Saṃsāra is called Moksha, Nirvana, Mukti or Kaivalya. Saṃsāra (Sanskrit: संसार) is a term that means "wandering", as well as "world" wherein the term connotes "cyclic change". Saṃsāra is a fundamental concept in all Indian religions, is linked to the karma theory, and refers to the belief that all living beings cyclically go through births and rebirths. The term is related to phrases such as "the cycle of successive existence", "transmigration", "karmic cycle", "the wheel of life", and "cyclicality of all life, matter, existence". 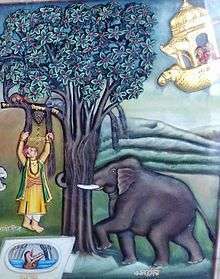 Many scholarly texts spell Saṃsāra as Samsara. According to Monier-Williams, Saṃsāra is rooted in the term Saṃsṛi (संसृ), which means "to go round, revolve, pass through a succession of states, to go towards or obtain, moving in a circuit". A conceptual form from this root appears in ancient texts as Saṃsaraṇa, which means "going around through a succession of states, birth, rebirth of living beings and the world", without obstruction. The term shortens to Saṃsāra, referring to the same concept, as a "passage through successive states of mundane existence", a transmigration, metempsychosis, a circuit of living where one repeats previous states, from one body to another, a worldly life of constant change, that is rebirth, growth, decay and redeath. The concept is then contrasted with the concept of moksha, also known as mukti, nirvana, nibbana or kaivalya, which refers to liberation from this cycle of aimless wandering. The concept of Samsara developed in the Vedic times, and is traceable in the Samhita layers such as in sections 1.164, 4.55, 6.70 and 10.14 of the Rigveda. While the idea is mentioned in the Samhita layers of the Vedas, there is lack of clear exposition there, and the idea fully develops in the early Upanishads. Damien Keown states that the notion of "cyclic birth and death" appears around 800 BCE. The word Saṃsāra appears, along with Moksha, in several Principal Upanishads such as in verse 1.3.7 of the Katha Upanishad, verse 6.16 of the Shvetashvatara Upanishad, verses 1.4 and 6.34 of the Maitri Upanishad. The word Samsara is related to Saṃsṛiti, the latter referring to the "course of mundane existence, transmigration, flow, circuit or stream". The word literally means "wandering through, flowing on", states Stephen J. Laumakis, in the sense of "aimless and directionless wandering". The concept of samsara is closely associated with the belief that the person continues to be born and reborn in various realms and forms. The idea of Samsara is hinted in the early Vedic texts such as the Rigveda, but the theory is absent. The early textual layers of the Vedas mention and anticipate the doctrine of Karma and rebirth, however states Stephen Laumakis, the idea is not fully developed. It is in the early Upanishads where these ideas are more fully developed, but there too the discussion does not provide specific mechanistic details. The detailed doctrines flower with unique characteristics, starting around the mid 1st millennium BCE, in diverse traditions such as in Buddhism, Jainism and various schools of Hindu philosophy. In Hinduism, Saṃsāra is a journey of the soul. The body dies, assert the Hindu traditions, but not the soul which it assumes to be the eternal reality, indestructible and bliss. Everything and all existence is connected, cyclical and composed of two things, the soul and the body or matter. Atman never reincarnates, it does not change and cannot change in the Hindu belief. In contrast, the body and personality, can change, constantly changes, is born and dies. Current Karma impacts the future circumstances in this life, as well as the future forms and realms of lives. Good intent and actions lead to good future, bad intent and actions lead to bad future, in the Hindu view of life. A virtuous life, actions consistent with dharma, are believed by Hindus to contribute to a better future, whether in this life of future lives. The aim of spiritual pursuits, whether it be through the path of bhakti (devotion), karma (work), jnana (knowledge), or raja (meditation) is self-liberation (moksha) from Samsara. In Jainism, the Saṃsāra and Karma doctrine are central to its theological foundations, as evidenced by the extensive literature on it in the major sects of Jainism, and their pioneering ideas on karma and samsara from the earliest times of the Jaina tradition. Saṃsāra in Jainism represents the worldly life characterized by continuous rebirths and suffering in various realms of existence. Souls begin their journey in a primordial state, and exist in a state of consciousness continuum that is constantly evolving through Saṃsāra. Some evolve to a higher state, some regress asserts the Jaina theory, a movement that is driven by the karma. Further, Jaina traditions believe that there exist Abhavya (incapable), or a class of souls that can never attain moksha (liberation). The Abhavya state of soul is entered after an intentional and shockingly evil act. Jainism considers souls as pluralistic each in a karma-samsara cycle, and does not subscribe to Advaita style nondualism of Hinduism, or Advaya style nondualism of Buddhism. The Saṃsāra concept, in Buddhism, envisions that these six realms are interconnected, and everyone cycles life after life, through these realms, because of a combination of ignorance, desires and purposeful karma, or ethical and unethical actions. Nirvana is typically described as the freedom from rebirth and the only alternative to suffering of Samsara, in Buddhism. However, the Buddhist texts developed a more comprehensive theory of rebirth, states Steven Collins, from fears of redeath, called amata (death-free), a state which is considered synonymous with nirvana. Sikhism, like the three ancient Indian traditions, believes that body is perishable, there is a cycle of rebirth, and that there is suffering with each cycle of rebirth. These features of Sikhism, along with its belief in Saṃsāra and the grace of God, is similar to some bhakti-oriented sub-traditions within Hinduism such as those found in Vaishnavism. Sikhism does not believe ascetic life, such as those recommended in Jainism, is the path to liberation. Rather, it cherishes social engagement and householder's life combined with devotion to the One God as Guru, to be the path of liberation from Saṅsāra. 1 2 Klaus Klostermaier 2010, p. 604. 1 2 3 4 5 Mark Juergensmeyer & Wade Clark Roof 2011, pp. 271-272. 1 2 3 Rita M. Gross (1993). Buddhism After Patriarchy: A Feminist History, Analysis, and Reconstruction of Buddhism. State University of New York Press. p. 148. ISBN 978-1-4384-0513-1. 1 2 3 4 Shirley Firth (1997). Dying, Death and Bereavement in a British Hindu Community. Peeters Publishers. pp. 106, 29–43. ISBN 978-90-6831-976-7. 1 2 3 Stephen J. Laumakis 2008, pp. 90-99. 1 2 Yuvraj Krishan (1997). The Doctrine of Karma: Its Origin and Development in Brāhmaṇical, Buddhist, and Jaina Traditions. Bharatiya Vidya Bhavan. pp. 17–27. ISBN 978-81-208-1233-8. ↑ Obeyesekere 2005, p. 1-2, 108, 126-128. 1 2 3 Mark Juergensmeyer & Wade Clark Roof 2011, pp. 272-273. ↑ Michael Myers 2013, p. 36. ↑ Harold Coward 2008, p. 103. ↑ Lochtefeld 2002, p. 589. 1 2 3 4 Jeaneane D. Fowler 1997, p. 10. 1 2 3 4 5 Monier Monier-Williams (1923). A Sanskrit-English Dictionary. Oxford University Press. pp. 1040–1041. 1 2 Wendy Doniger (1980). Karma and Rebirth in Classical Indian Traditions. University of California Press. pp. 268–269. ISBN 978-0-520-03923-0. 1 2 Louis de La Vallée-Poussin (1917). The way to Nirvana: six lectures on ancient Buddhism as a discipline of salvation. Cambridge University Press. pp. 24–29. ↑ Yuvraj Krishan (1997). The Doctrine of Karma: Its Origin and Development in Brāhmaṇical, Buddhist, and Jaina Traditions. Bharatiya Vidya Bhavan. pp. 11–15. ISBN 978-81-208-1233-8. 1 2 3 Stephen J. Laumakis 2008, p. 90. ↑ Dalal 2010, p. 344, 356-357. ↑ Damien Keown 2004, p. 248. ↑ Stephen J. Laumakis 2008, p. 97. ↑ Goa, David J.; Coward, Harold G. (2014-08-21). "Hinduism". The Canadian Encyclopedia. Archived from the original on 2014-02-27. Retrieved 2015-07-31. ↑ James Hastings; John Alexander Selbie; Louis Herbert Gray (1922). Encyclopædia of Religion and Ethics. T. & T. Clark. pp. 616–618. 1 2 3 Jessica Frazier & Gavin Flood 2011, pp. 84-86. ↑ Kusum P. Merh (1996). Yama, the Glorious Lord of the Other World. Penguin. pp. 213–215. ISBN 978-81-246-0066-5. ↑ Anita Raina Thapan (2006). The Penguin Swami Chinmyananda Reader. Penguin Books. pp. 84–90. ISBN 978-0-14-400062-3. ↑ Patrul Rinpoche; Dalai Lama (1998). The Words of My Perfect Teacher: A Complete Translation of a Classic Introduction to Tibetan Buddhism. Rowman Altamira. pp. 95–96. ISBN 978-0-7619-9027-7. ↑ Norman C. McClelland (2010). Encyclopedia of Reincarnation and Karma. McFarland. pp. 102–103. ISBN 978-0-7864-5675-8. ↑ Clifton D. Bryant; Dennis L. Peck (2009). Encyclopedia of Death and the Human Experience. SAGE Publications. pp. 841–846. ISBN 978-1-4522-6616-9. ↑ Vallee Pussin (1917). The way to Nirvana: six lectures on ancient Buddhism as a discipline of salvation. Cambridge University Press. pp. 24–25. ↑ Padmanabh S. Jaini 2001 “Collected Paper on Buddhist Studies” Motilal Banarsidass, ISBN 81-208-1776-1, page 51, Quote: "Yajnavalkya’s reluctance to discuss the doctrine of karma in public (...) can perhaps be explained by the assumption that it was, like that of the transmigration of soul, of non-brahmanical origin. In view of the fact that this doctrine is emblazoned on almost every page of sramana scriptures, it is highly probable that it was derived from them." ↑ Govind Chandra Pande, (1994) Life and Thought of Sankaracarya, Motilal Banarsidass ISBN 81-208-1104-6, page 135, Quote: (...) They Sramanas could have been connected with the Harappan Civilization which is itself enigmatic. It seems that some Upanishad thinkers like Yajnavalkya were acquainted with this kind [sramanic] thinking (...) and tried to incorporate these ideas of Karma, Samsara and Moksa into the traditional Vedic thought. ↑ Wendy Doniger (1980). Karma and Rebirth in Classical Indian Traditions. University of California Press. pp. xvii–xviii. ISBN 978-0-520-03923-0. ; Quote: "There was such constant interaction between Vedism and Buddhism in the early period that it is fruitless to attempt to sort out the earlier source of many doctrines, they lived in one another's pockets, like Picasso and Braque (who were, in later years, unable to say which of them had painted certain paintings from their earlier, shared period)." ↑ Buitenen 1957, pp. 34-35. ↑ Mircea Eliade 1987, pp. 56-57. ↑ Jessica Frazier & Gavin Flood 2011, p. 18. 1 2 3 John Bowker 2014, pp. 84-85. ↑ Jessica Frazier & Gavin Flood 2011, pp. 18-19, 24-25. ↑ Harold Coward 2012, pp. 29-31. ↑ John Geeverghese Arapura 1986, pp. 85-88. ↑ Robert S. Ellwood; Gregory D. Alles (2007). The Encyclopedia of World Religions. Infobase Publishing. pp. 406–407. ISBN 978-1-4381-1038-7. 1 2 Obeyesekere 1980, pp. 139-140. ↑ Robert E. Buswell Jr.; Donald S. Lopez Jr. (2013). The Princeton Dictionary of Buddhism. Princeton University Press. pp. 304–305. ISBN 978-1-4008-4805-8. ↑ Michael Myers 2013, p. 79. 1 2 Michael Myers 2013, pp. 79-80. ↑ Paul Williams; Anthony Tribe (2000). Buddhist Thought: A Complete Introduction to the Indian Tradition. Routledge. pp. 18–19, chapter 1. ISBN 0-415207002. ↑ Thomas William Rhys Davids; William Stede (1921). Pali-English Dictionary. Motilal Banarsidass. pp. 94–95, Entry for Āgati. ISBN 978-81-208-1144-7. ↑ Stephen J. Laumakis (2008). An Introduction to Buddhist Philosophy. Cambridge University Press. pp. 68–70, 125–128, 149–153, 168–176. ISBN 978-1-139-46966-1. ↑ Masao Abe; Steven Heine (1995). Buddhism and Interfaith Dialogue. University of Hawaii Press. pp. 7–8, 73–78. ISBN 978-0-8248-1752-7. 1 2 Loy, David (1982). "Enlightenment in Buddhism and Advaita Vedanta: Are Nirvana and Moksha the Same?". International Philosophical Quarterly. 22 (1): 65–74. doi:10.5840/ipq19822217. ↑ Padmanabh S Jaini, George L Jart III (1980). Wendy Doniger, ed. Karma and Rebirth in Classical Indian Traditions. University of California Press. pp. 131–133, 228–229. ISBN 978-0-520-03923-0. ↑ Christopher Partridge (2013). Introduction to World Religions. Fortress Press. pp. 245–246. ISBN 978-0-8006-9970-3. ↑ George L Jart III (1980). Wendy Doniger, ed. Karma and Rebirth in Classical Indian Traditions. University of California Press. pp. 131–133. ISBN 978-0-520-03923-0. 1 2 3 Mark Juergensmeyer & Wade Clark Roof 2011, p. 272. ↑ Mukul Goel (2008). Devotional Hinduism: Creating Impressions for God. iUniverse. p. 6. ISBN 978-0-595-50524-1. ↑ Jeaneane D. Fowler 1997, p. 11. 1 2 Flood, Gavin (2009-08-24). "Hindu concepts". BBC Online. BBC. Archived from the original on 2014-04-11. Retrieved 2015-07-31. ↑ George D. Chryssides; Benjamin E. Zeller (2014). The Bloomsbury Companion to New Religious Movements. Bloomsbury Academic. p. 333. ISBN 978-1-4411-9829-7. ↑ Jeaneane D. Fowler 1997, pp. 111-112. ↑ Yong Choon Kim; David H. Freeman (1981). Oriental Thought: An Introduction to the Philosophical and Religious Thought of Asia. Rowman & Littlefield. pp. 15–17. ISBN 978-0-8226-0365-8. ↑ Jack Sikora (2002). Religions of India: A User Friendly and Brief Introduction to Hinduism, Buddhism, Sikhism, and the Jains. iUniverse. pp. 17–19. ISBN 978-1-4697-1731-9. ↑ Harold Coward 2008, p. 129. ↑ Harold Coward 2008, pp. 129, also see pages 130-155. ↑ Jeaneane D. Fowler (1997). Hinduism: Beliefs and Practices. Sussex Academic Press. pp. 10–12, 132–137. ISBN 978-1-898723-60-8. ↑ M. Hiriyanna (1995). The Essentials of Indian Philosophy. Motilal Banarsidass. pp. 24–25, 160–166. ISBN 978-81-208-1330-4. ↑ Jeaneane D. Fowler (2002). Perspectives of Reality: An Introduction to the Philosophy of Hinduism. Sussex Academic Press. pp. 340–347, 373–375. ISBN 978-1-898723-93-6. ↑ Jeaneane D. Fowler (2002). Perspectives of Reality: An Introduction to the Philosophy of Hinduism. Sussex Academic Press. pp. 238–240, 243–245, 249–250, 261–263, 279–284. ISBN 978-1-898723-93-6. ↑ Padmanabh Jaini 1980, pp. 217-236. 1 2 Paul Dundas (2003). The Jains. Routledge. pp. 14–16, 102–105. ISBN 978-0415266055. ↑ Padmanabh Jaini 1980, pp. 226-228. 1 2 Tara Sethia (2004). Ahimsā, Anekānta, and Jainism. Motilal Banarsidass. pp. 30–31. ISBN 978-81-208-2036-4. 1 2 Padmanabh Jaini 1980, p. 226. ↑ Padmanabh Jaini 1980, p. 227. ↑ Padmanabh Jaini 1980, pp. 227-228. 1 2 Paul Dundas (2003). The Jains. Routledge. pp. 104–105. ISBN 978-0415266055. ↑ Padmanabh Jaini 1980, p. 225. ↑ Padmanabh Jaini 1980, p. 228. ↑ Padmanabh S. Jaini (2000). Collected Papers on Jaina Studies. Motilal Banarsidass. pp. 130–131. ISBN 978-81-208-1691-6. ↑ Padmanabh Jaini 1980, pp. 223-224. ↑ Padmanabh Jaini 1980, pp. 224-225. ↑ Padmanabh Jaini 1980, pp. 222-223. ↑ Jeffery D Long (2013). 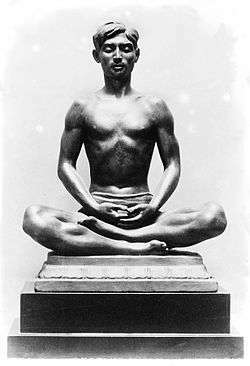 Jainism: An Introduction. I.B.Tauris. pp. 36–37. ISBN 978-0-85773-656-7. 1 2 Graham Harvey (2016). Religions in Focus: New Approaches to Tradition and Contemporary Practices. Routledge. pp. 182–183. ISBN 978-1-134-93690-8. ↑ Paul Dundas (2003). The Jains. Routledge. pp. 55–59. ISBN 978-0415266055. ↑ Patrul Rinpoche; Dalai Lama (1998). The Words of My Perfect Teacher: A Complete Translation of a Classic Introduction to Tibetan Buddhism. Rowman Altamira. pp. 61–99. ISBN 978-0-7619-9027-7. 1 2 3 4 5 6 7 Jeff Wilson (2010). Saṃsāra and Rebirth, in Buddhism. Oxford University Press. doi:10.1093/obo/9780195393521-0141. ISBN 9780195393521. ↑ Edward Conze (2013). Buddhist Thought in India: Three Phases of Buddhist Philosophy. Routledge. p. 71. ISBN 978-1-134-54231-4. , Quote: "Nirvana is the raison d’être of Buddhism, and its ultimate justification." ↑ Gethin 1998, p. 119. ↑ Williams 2002, pp. 74-75. ↑ Paul Williams, Anthony Tribe & Alexander Wynne 2012, pp. 30–42. ↑ Robert Buswell Jr. & Donald Lopez Jr. 2013, pp. 304-305. ↑ Peter Harvey (2015). Steven M. Emmanuel, ed. A Companion to Buddhist Philosophy. John Wiley & Sons. pp. 26–44. ISBN 978-1-119-14466-3. Quote: "the first features described as painful [dukkha] in the above DCPS [Dhamma-cakka-pavatana Sutta in Vinaya Pitaka] quote are basic biological aspects of being alive, each of which can be traumatic. The dukkha of these is compounded by the rebirth perspective of Buddhism, for this involves repeated re-birth, re-aging, re-sickness, and re-death." 1 2 3 4 Kevin Trainor (2004). Buddhism: The Illustrated Guide. Oxford University Press. pp. 62–63. ISBN 978-0-19-517398-7. ; Quote: "Buddhist doctrine holds that until they realize nirvana, beings are bound to undergo rebirth and redeath due to their having acted out of ignorance and desire, thereby producing the seeds of karma". ↑ Dalai Lama 1992, pp. xi-xii, 5-16. ↑ Robert DeCaroli (2004). Haunting the Buddha: Indian Popular Religions and the Formation of Buddhism. Oxford University Press. pp. 94–103. ISBN 978-0-19-803765-1. ↑ Akira Sadakata (1997). Buddhist Cosmology: Philosophy and Origins. Kōsei Publishing 佼成出版社, Tokyo. pp. 68–70. ISBN 978-4-333-01682-2. 1 2 Steven Collins (2010). Nirvana: Concept, Imagery, Narrative. Cambridge University Press. p. 38. ISBN 978-0-521-88198-2. ↑ Carl B. Becker (1993). Breaking the Circle: Death and the Afterlife in Buddhism. Southern Illinois University Press. pp. viii, 57–59. ISBN 978-0-8093-1932-9. ↑ Frank J. Hoffman (2002). Rationality and Mind in Early Buddhism. Motilal Banarsidass. pp. 103–106. ISBN 978-81-208-1927-6. 1 2 3 4 Arvind-Pal Singh Mandair (2013). Sikhism: A Guide for the Perplexed. Bloomsbury Academic. pp. 145–146, 181, 220. ISBN 978-1-4411-5366-1. 1 2 W.O. Cole; Piara Singh Sambhi (2016). Sikhism and Christianity: A Comparative Study. Springer. pp. 13–14. ISBN 978-1-349-23049-5. ↑ Arvind-Pal Singh Mandair (2013). Sikhism: A Guide for the Perplexed. Bloomsbury Academic. p. 176. ISBN 978-1-4411-5366-1. ↑ H. S. Singha (2000). The Encyclopedia of Sikhism. Hemkunt Press. pp. 68, 80. ISBN 978-81-7010-301-1. ↑ Pashaura Singh; Louis E. Fenech (2014). The Oxford Handbook of Sikh Studies. Oxford University Press. pp. 231, 607. ISBN 978-0-19-100411-7. ↑ James Thrower (1999). Religion: The Classical Theories. Georgetown University Press. p. 40. ISBN 978-0-87840-751-4. ↑ J. S. Grewal (2006). Religious Movements and Institutions in Medieval India. Oxford University Press. pp. 394–395. ISBN 978-0-19-567703-4. ↑ Pashaura Singh; Louis E. Fenech (2014). The Oxford Handbook of Sikh Studies. Oxford University Press. pp. 230–231. ISBN 978-0-19-100411-7. Padmanabh Jaini (1980). Wendy Doniger, ed. Karma and Rebirth in Classical Indian Traditions. University of California Press. ISBN 978-0-520-03923-0. Obeyesekere, Gananath (1980). Wendy Doniger, ed. Karma and Rebirth in Classical Indian Traditions. University of California Press. ISBN 978-0-520-03923-0. Obeyesekere, Gananath (2005). Wendy Doniger, ed. Karma and Rebirth: A Cross Cultural Study. Motilal Banarsidass. ISBN 978-8120826090.